Coach of Abubakar Bukola Saraki FC, Henry Makinwa, has cautioned his players against complacency. 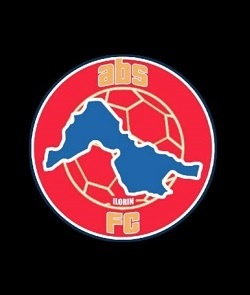 ABS hosts Katsina United in a match day 12 game of the Nigeria Professional Football League on Sunday in Ilorin. ABS is currently sitting 3rd on the NPFL table with 17 points from 10 games, but Makinwa is not ready to take any team for granted. “There are no pushovers in the league anymore because the league is growing very fast. “On Sunday, we won’t allow complacency at all because the game is very important to us. “We lost to a better team in Rangers on Wednesday in Enugu so we want to go back to our winning ways. “We are not obsessed with our current position on the log because the league is not won after 11 games. “March is a busy month for us and we want to make the best use of it,’’ Makinwa told NAN. “Although we played a very good side, but having played on Sunday and travelling over 700km by road to play on Wednesday had negative effect on us. “We are not trying to make any excuse but such a fixture is not good for the boys. “We have young boys that are trying to cope with the congested fixtures,’’ the ABS coach added. Katsina United will be coming into the game with full confidence having scored a late goal on Wednesday to beat MFM FC of Lagos 2-1. Also Katsina United defeated ABS FC in the final of the 2015/2016 Nigeria National League (NNL) Super 4 to be among the four promoted sides.